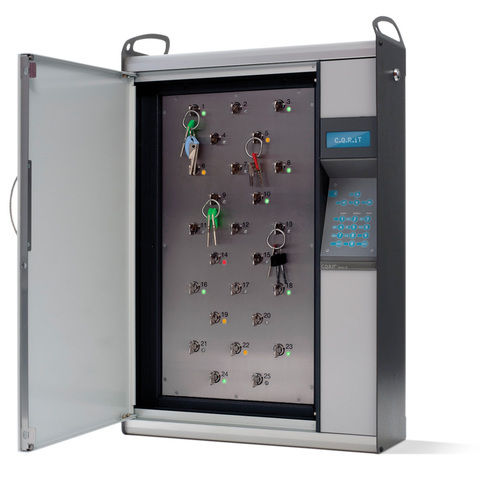 The CQRIT cabinets provide an extremely flexible, fully expandable system allowing administrators to secure and monitor large numbers of keys 24 hours a day. It is ideal for hotels and resorts, casinos, gaming venues and convention centres. Large amounts of cash flow move through a casino, tempting people to cheat the system. Security with CIC key management solutions today consists of eletronic audit trails that reduce or supress the physical security measures that are controlled by administrators to prevent stealing by employees and provide a very tight legal audit trail. Hotels place the safety and security of their guests as a top priority. CQRiT cabinets allow clients to closely monitor and control all keys and cards. The main benefit is the money saved by keeping staff focussed on their job, instead of signing out keys or searching for lost keys.